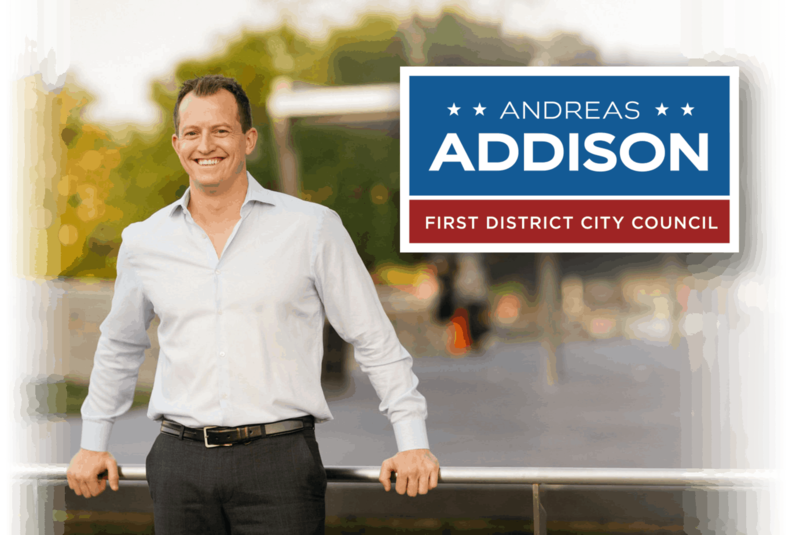 Want to get the latest updates on the Addison Campaign by email? Sign up here. Want to volunteer to help Andreas Addison and his campaign for Richmond First District City Council? Choose how you want to help here. Paid for and authorized by Addison for City Council.